When I moved to Lebanon in 1972, a joke was doing the rounds about an Englishman, a Frenchman, and an Arab tasked to write books about elephants. The Englishman wrote How to Hunt Elephants, and the Frenchman came up with Recipes for Cooking Elephants à la Française. The Arab, meanwhile, produced 12 volumes titled The Elephant and the Palestine Problem. Since then, publishers have poured out thousands of tomes on Palestine and Israel, some bad, some good. 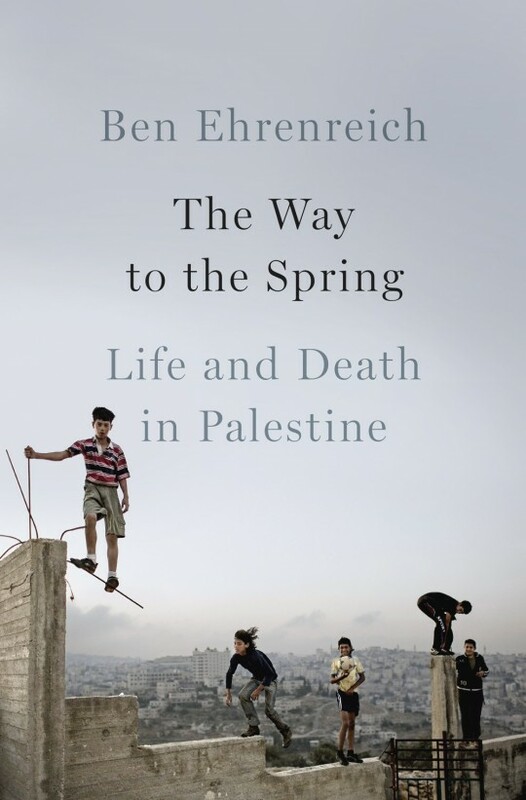 Ben Ehrenreich’s The Way to Spring: Life and Death in Palestine is the latest, and it is excellent. You need a good reason to write or read a book on Palestine these days. Not only is the field over-tilled, it has become boring. We all know the facts or imagine we do, however differently we interpret them. To justify a new book, you have to provide new facts or a new way of looking at old ones. Ehrenreich does both. Many of his facts are new to us, his intended Western readership, if not to the Palestinians and Israelis who live them. His sensitive, novelistic method of depicting them can be dispiriting. But it is inspiring, as he introduces us to people who have been beaten to the ground and get up again and again. “I do not aspire in these pages to objectivity,” he writes in his introduction. “I don’t believe it to be a virtue, or even a possibility.” He calls the book “a collection of stories about resistance, and about people who resist. My concern is with what keeps people going when everything appears to be lost.” Everything seems lost to the Palestinians. Three quarters of them lost their homes in Palestine in 1947 and 1948. Many ended up as helots in neighboring countries, while the rest fell under Israeli military occupation in 1967. Since then, colonies of Israeli Jewish citizens have seized most of their land. The Israel Defense Forces demolish thousands of their homes to make the settlement project possible. The IDF restricts their movement, their actions, and their speech, all the while confining them to smaller and smaller spaces on a landscape that threatens to vanish completely. An extended family called Tamimi in the West Bank village of Nabi Saleh populates this book like characters in a novel by Thackeray or Dickens. Ehrenreich took time to know them and has the novelist’s talent to make us see the activist Bassem Tamimi, the beautiful and stalwart Nariman Tamimi, and the precocious Tamimi children. The youngsters flock to protests knowing that their homes are no safer than a confrontation line, particularly after Israeli shellfire killed one of them in his bedroom. These people are, to borrow a term popular in the First Intifada of the late 1980s that Ehrenreich does not use, samoud, steadfast. They endure prison and torture. They come home. They are beaten. They get up. A wall goes up to keep them in or out, and they find ways around it. It’s our planet. We made it what it is. And by we I mean all of us — those who acted, and those who do not act. … Hebron’s realities are the same as those in the rest of Palestine, only boiled down under tremendous pressure until they have been reduced to a thick and noxious paste. And Palestine’s realities are not different from our own. In a footnote, he explained, “As I write this, demonstrators are shutting down freeways to protest the killings of Eric Garner and Michael Brown by police in New York and in Ferguson, Missouri.” The connection is closer than he realizes, as Jeff Halper demonstrated in War Against the People: Israel trained police from both New York and Ferguson in crowd-control tactics honed on the West Bank. An Israeli soldier named Eran attempted to build a bridge to Palestinian children near his checkpoint by offering them a Cheez Doodle-like snack called Bamba. One boy accepted. Eran, who had been troubled by the treatment his fellow soldiers meted out to Palestinians, “felt ecstatic. He could finally be the man he wanted to be, a soldier who was loved for his kindness.” That night, he took part in raids on Palestinian houses, “to make sure they never lost the feeling of being chased,” and to map the interior of the houses. After searching two houses, his officer went after a third. It wasn’t all sadness. People laughed a lot. Or perhaps I should say that sadness has many faces, and laughter is one of them, though that’s not quite right either. It’s just that grief was not something special. There were greater and lesser sorrows, but sorrow was a given. as yeast in the dough.